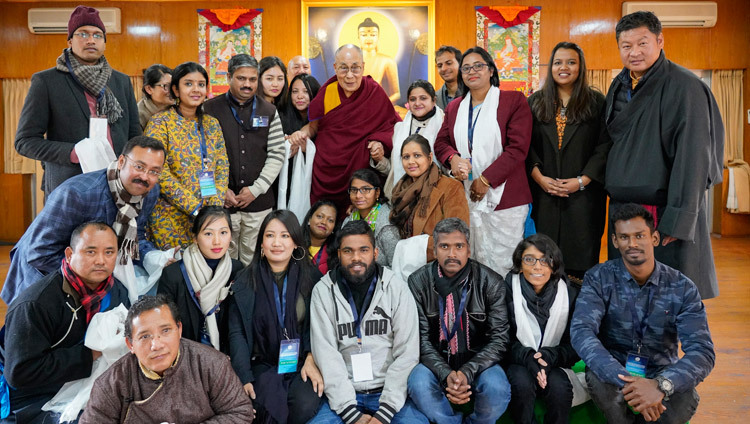 Thekchen Chöling, Dharamsala, HP, India – This morning, His Holiness the Dalai Lama met with a group of 22 Indian scholars participating in a three-day Conference on Tibetan Studies organized by the Tibet Policy Institute of the Central Tibetan Administration (CTA). 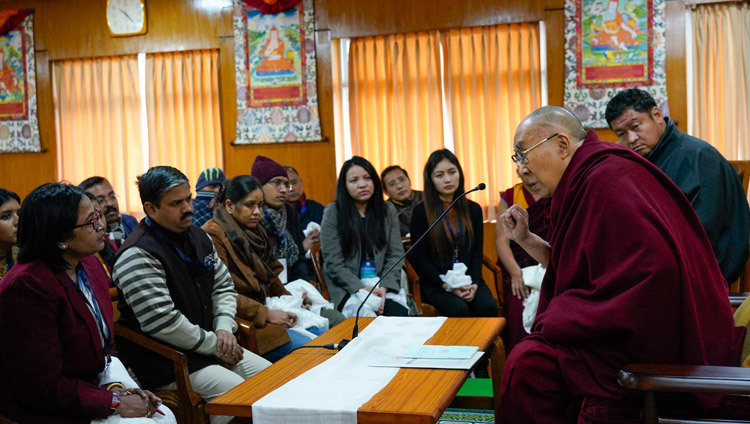 His Holiness explained to them how the authentic traditions of Nalanda University were introduced to Tibet. 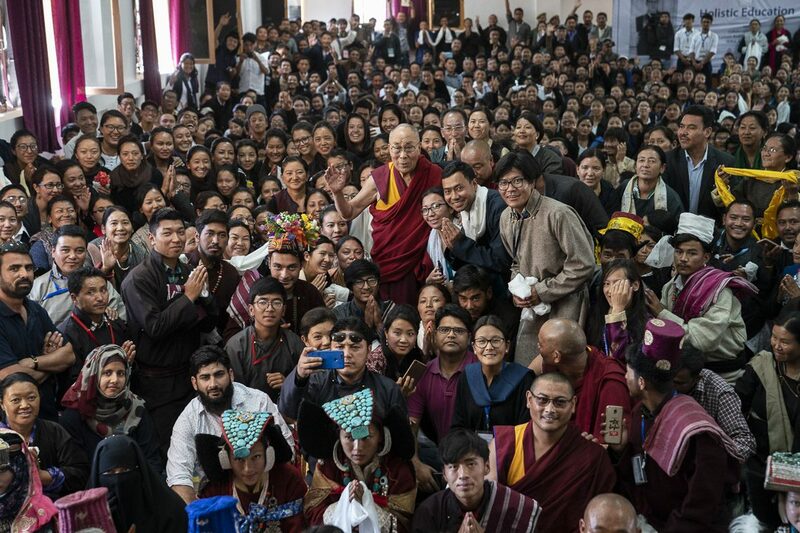 His Holiness remarked that the analytical approach to study followed in Tibetan monastic centres of learning, employing memorization, debate and meditation is similar to a scientific approach. 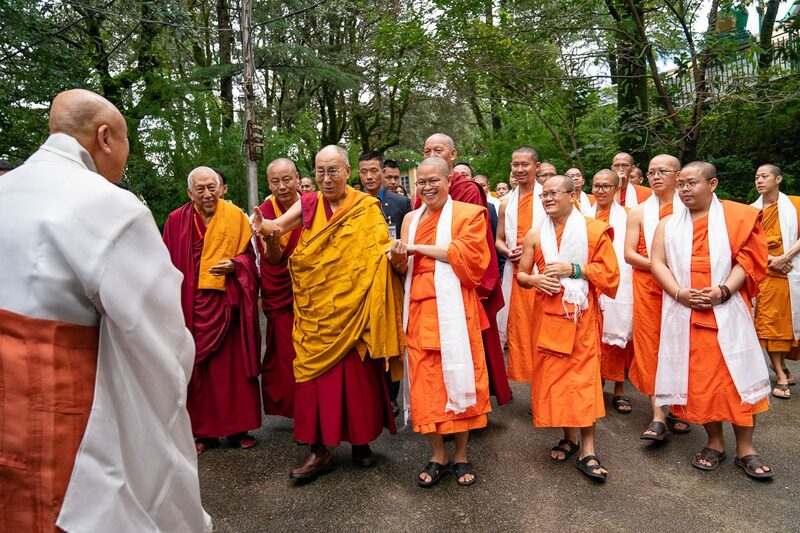 He told his guests that there are ten thousand monks and a thousand nuns trained in this way in the monastic centres of learning in South India. 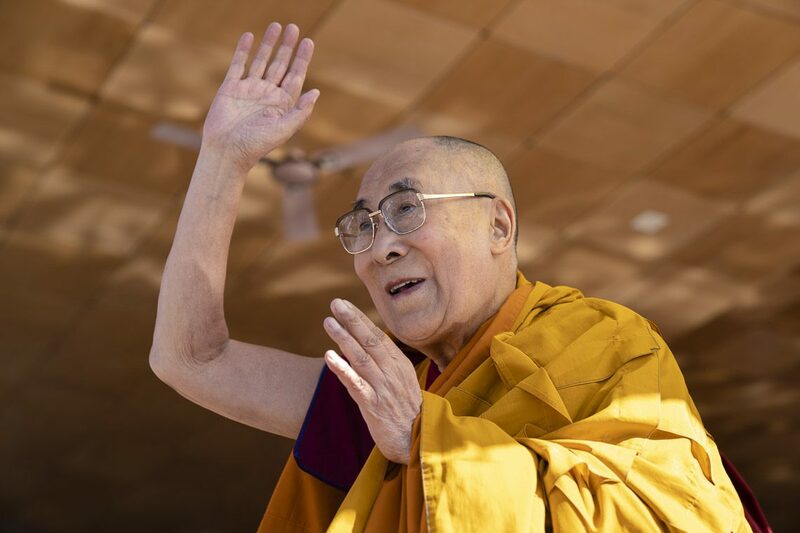 His Holiness was full of praise for ancient Indian tradition—ahimsa or non-violence as a mode of conduct and karuna or compassion that is its motivation. 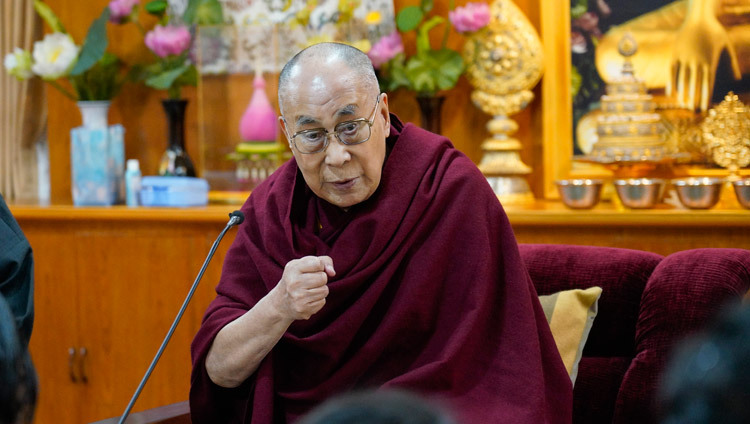 He noted that even before the coming of the Buddha, the practices of shamatha and vipashyana, which are means to cultivate a single-pointed mind and special insight were widely observed. Indeed, the Buddha was a product of these ancient Indian practices. “The content of these sutras and treatises can be classified into three categories: science, philosophy and religion. 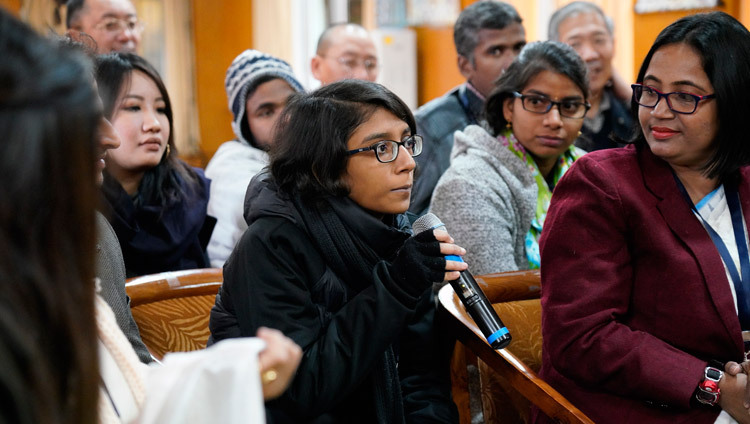 While the religious content is really only of interest to Buddhists, the scientific and philosophical content can be studied in an objective academic context. Raja Ramana, one of India’s top nuclear physicists, once told me that although quantum theory is relatively new in the scientific world corresponding ideas can be found in Nagarjuna’s writings. 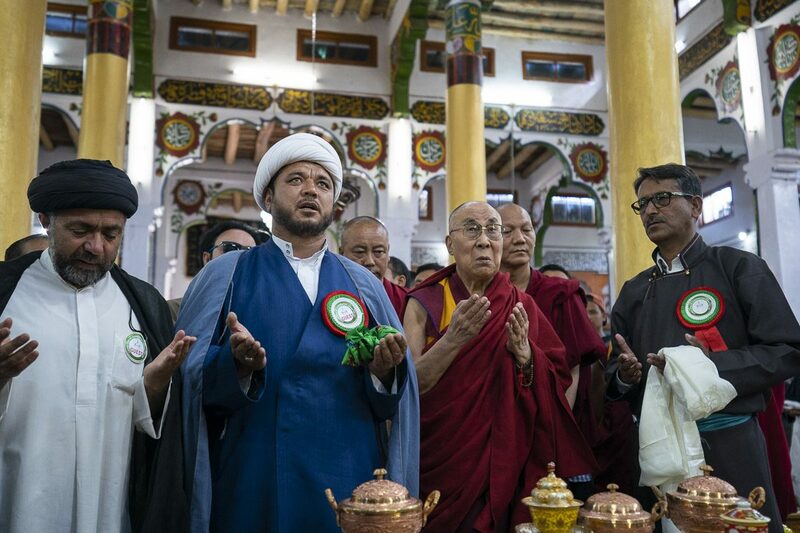 Copyright © 2019 Bureau of His Holiness the Dalai Lama. Powered by TCRC, DIIR - CTA.